Aligning with Ethiopia’s Growth and Transformation Plan, GE’s Grid Solutions business (NYSE: GE) today announced it has completed a $40M Electricity Transmission System Improvement turnkey project with Ethiopian Electric Power. The project will raise access to electricity by transferring bulk electric power to the southern and south-western parts of the country. 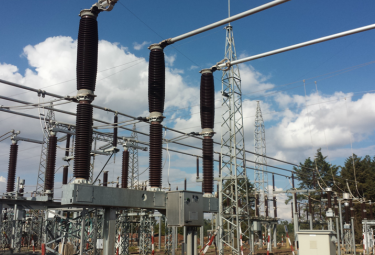 New substations will also help reduce technical losses in the transmission system in the medium term. GE Power is a world energy leader that provides technology, solutions and services across the entire energy value chain from the point of generation to consumption. We are transforming the electricity industry by uniting all the resources and scale of the world’s first Digital Industrial company. Our customers operate in more than 150 countries, and together we power more than a third of the world to illuminate cities, build economies and connect the world. For more information, visit the company’s website at www.ge.com/power.